Maker’s Malts was formed by a small collective of farmers who have decades of experience growing high quality malt barley. The concept of doing a start-up craft malting operation was born out of the success of the recent Craft Beer movement. We saw a disconnect between the needs of the local Craft Brewer/Distiller and the typical source of their malt supply. The typical malt source is a large multinational company. They source grain from many farmers (with considerable agronomic differences) blend it and malt it to meet a standard acceptable to the large corporate brewers that are their main customers. Maker’s Malts only target audience is the Craft Brewer/Distiller and we are dedicated to producing malt specific to your needs. The technology we have employed to ensure our core concepts are met is cutting-edge, but the philosophical ideals also have roots in the past. It harkens back to the day when grain was grown and then processed locally by another small business. Wheat was harvested, ground to flour, baked to bread and consumed locally. Barley was grown on small farms, malted and brewed and enjoyed never having traveled more than a few miles. There has been a shift back from the massive consolidation of the previous decades to this local approach that we stand behind. Our unique vertical integration (growing and malting) allows us full control of the process and incentivizes Maker’s Malts to grow for quality over quantity. We believe that craft malting is a natural extension of the craft beer/distilling and the local food movements and that our core values are aligned. 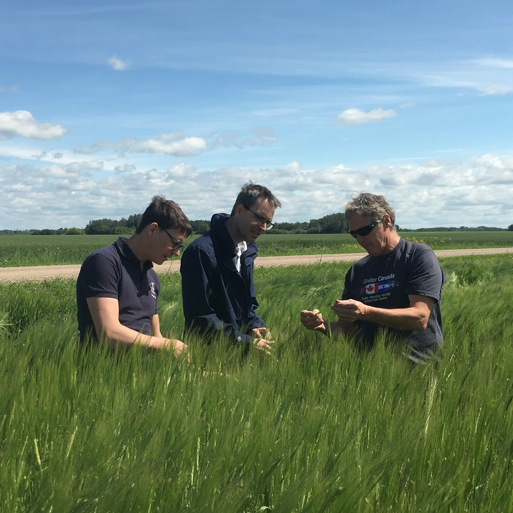 In our new venture we are typically able to narrow our selection for Maker’s Malts to the top 5-10% of the malt barley produced on our farms (the rest will be malted by large multinational maltsters). Going from Grain to Growler puts us in the unique position as maltsters to control our entire chain of production. This vertical integration incentivizes our entire agronomic philosophy aligning our farm practices to optimize barley quality rather than chasing maximum yields. We are borrowing the term “Single Malt” from the world of Scotch where it is used to define quality scotch sourced from a single distillery: The goal is to achieve distinctive flavours and nuances that exemplify a distillery’s style. Our products come from barley that has been harvested from a single field location and have not been blended. This allows us to begin to discuss concepts such as terroir and vintage in the end products. Maker’s Malts has the ability as a small maltster to champion diversity. We are able to incorporate new varietals before they are grown on a scale that allows them to be commercially viable for larger maltsters. We can move from this forefront of research to malting heirloom varieties within a one-week cycle. We look forward to developing specialty grains that best represent our local production. We will even have the capability to develop proprietary malt products with our customers with their unique specifications.